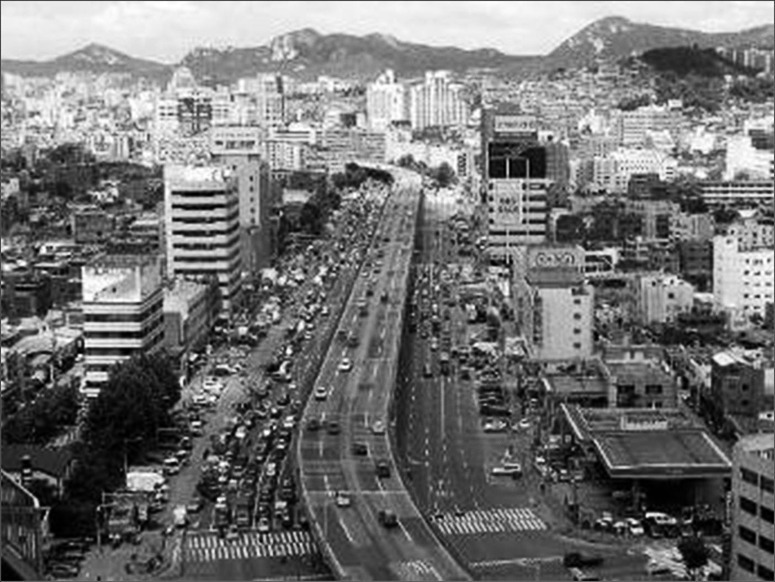 First of all ‘Cheong-gye’ is the name of place, ‘cheon’ means stream. so you can call ‘Cheonggyechun’ or ‘cheonggye’ stream. 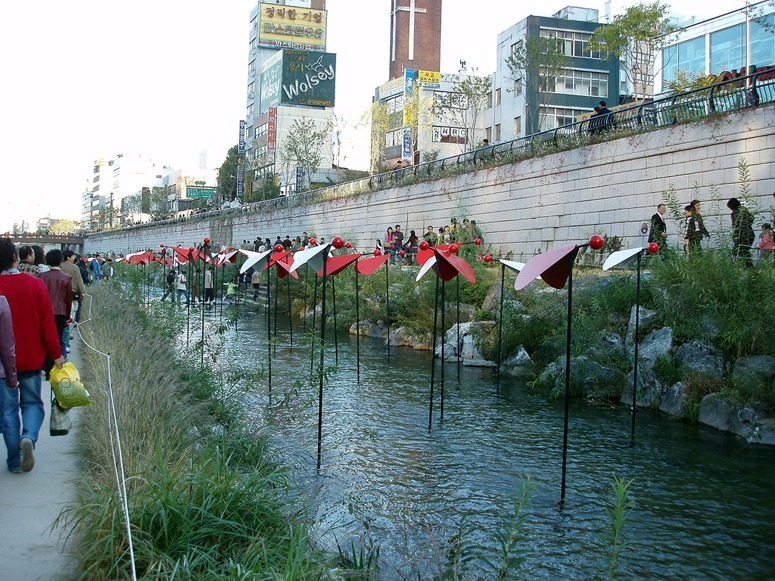 Basically Cheonggyecheon is a stream that dries up spells of dry weather, a dry stream. This is the first ecological character of Cheonggyecheon when it was before period of Japanese occupation. From the Japanese occupation (1910-1945) Cheongyechun became a dirty drain which shaped like ‘ㅁ’ . The water completely could not flow naturally. Now, for me and most of landscape architects in Korea does not think that Choenggyechen is a real reclamation. Actually that project was a one of the biggest election pledge when Lee Myung-bak(previous Mayor of Seoul, now South Korea President) was candidate. Architects had to make the project until Lee finish his duty of Mayor of Seoul. Government use a lot of tax for pumping the water from Han River( which is main Water line in Seoul) to Chonggyechun. So far so bad only the slogan is “green sustainable Seoul’ , honestly Cheongyecheon is the masterpiece of Lee, not Seoul`s. Thank you for the information. I must say that I notice a difference between the ‘official’ photographs of Cheonggyecheon, many of which look wonderful, and the general run of photographs on the web (eg on Flickr) which, unless taken after dark, look disappointing. Interesting article. I’m looking for an old picture of the highway before the restoration. Could I ask where you found the b/w picture above?